White Marsh Social Security Disability Seminar Announces Latest Date! 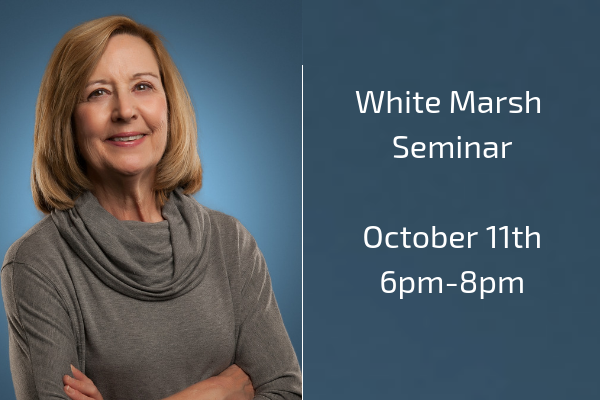 The White Marsh Social Security Disability Seminar will be on October 11th from 6pm – 8pm at the White Marsh Public Library. This seminar will focus on Social Security Disability Benefits and will be hosted by Sharon Christie from Sharon Christie Law. In order to attend please make sure to click on the button below to register! So if you are unable to work because of a disability or illness, or have been denied Social Security Disability Benefits you will want to attend one of these seminars! Has the Social Security Disability Benefits application process left you frustrated? Don’t give up! Register for one of Sharon Christie’s FREE Seminars to find out what you must know to win your Social Security Disability Case!